The year of 2009 was apparently a Rom-Com year for me, because He’s Just Not That Into You is the second movie I remember watching in the cinema, with the first being Bride Wars. This time I went with a bunch of my Uni friends, as a kind of anti-valentine’s statement, since all of us were single. The star-studded cast the movie boasts helped in letting us have a good time at the movies that day, and certainly gave us a lot to talk about on the bus ride back. While the movie suffers from an extreme case of myopia with regard to gender norms and representation, there was some insight given on the pitfalls we fall into in our dating habits. A common pitfall we might find ourselves falling into is the act of over reading and over analyzing every action made by the person we are fond of. We see Gigi (Ginnifer Goodwin) laying out all the clues for her good friend Janine (Jennifer Connelly), with both agreeing that the signs all point to some sense of agreeableness on his part. According to the dating guru Alex (Justin Long), this is not the case. If a man likes you, he says, he will pursue you ardently. While this may not be always true, as we see him having a change of heart at the end of the movie, I would agree that this has some weight. I have lost count of the number of hours I have spent brooding over text messages from guys I liked, wondering if they were trying to tell me they liked me but didn’t want to come all out and say it. There was one guy who said to me “I think I may be in love you” when we both found out we liked the same movie, and I literally felt my heart stop at the utterance of this line. After months of pining and wondering, I flat out approached him and told him of my feelings, to which he responded that he had thought about something romantic with me at one point, but then lost that sentiment. I knew that my feelings were not returned, that he was just not that into me, but I wanted to dwell in the land of denial, where I had my clues and signs. Trying to read and analyze a man’s behavior felt easier to deal with emotionally than the acceptance of a lack of reciprocation. This was one of the issues I had with He’s Just Not That Into You, with most of the women chasing marriage and a blissfully loved-up life. Of course it is not a bad thing to seek marriage, but i would think that the emphasis should be on the relationship rather than marriage for the sake of it. 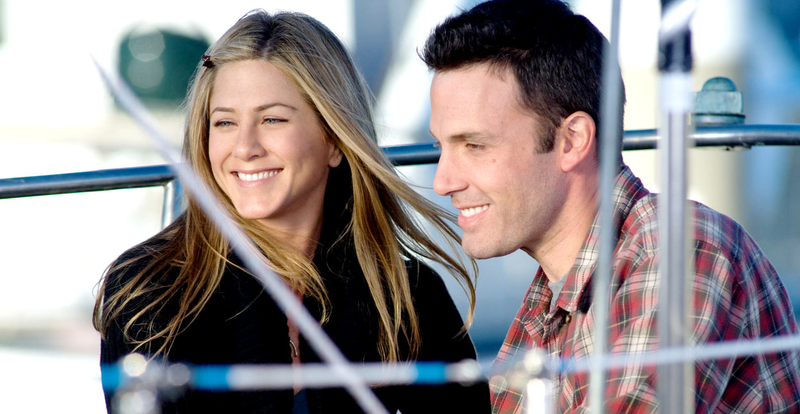 Jennifer Aniston‘s character realizes this after she breaks up with her boyfriend (Ben Affleck) of 7 years because he wasn’t marrying her. She threw away a really good relationship because he wouldn’t put a ring on it. It is not wrong to want marriage, just as it isn’t wrong to walk away when someone cannot give you something that you want. There should have been more of a practical argument on her part, since they already have commitment and a home together. What more could marriage give them? This should have been more of a discussion instead of him hating marriage because he is a skeptic, and her wanting to be married for a social acceptance type of reason. The albatross of marriage is a burden carried by other couples as well. Upon the discovery of adultery, Janine is quick to move to problem-solving mode. She never quite takes the time to be angry with her husband (Bradley Cooper), while he can’t wait to bail on the marriage. We learn that the reason they got married was because she gave him an ultimatum after college, and he married her because he felt he had to. According to him, no reasonable man would ever desire marriage since this would mean giving up all the women he could ever possibly have. So why did he feel the need to do so when he didn’t want to? Once again, we see this idea of couples tying the knot because it is the socially desirable thing to do. I always found it interesting that it wasn’t the affair that made her leave him, but the discovery of his return to smoking. I guess it’s because in the process of lying, he made her feel guilty for questioning him, while the affair seemed to be something she was willing to shoulder the blame for. Her admittance of their lack of love life seemed to be the reason she thought he cheated, when we all know it is never quite as simple as that. Drew Barrymore has this fantastic monologue about how advances in technology have created all these ways to connect with people, yet navigating through all these platforms can be tedious work. Consider the numerous dating apps we have now, where a lot of the beginning stages of a relationship progresses through these mediums until it comes time to meet. It sets up all this expectation, which might not translate well in real life. 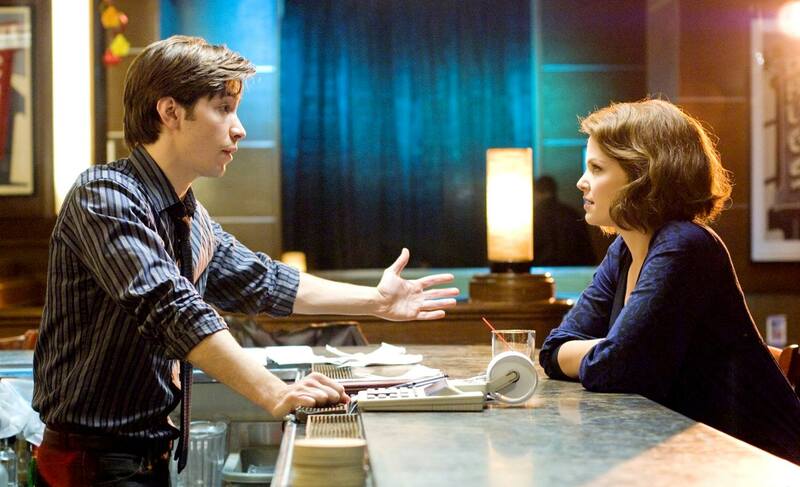 It has become easier than ever to meet people, but dating is still so goddamn hard. In Roger Ebert’s review, he felt it to be quite unbelievable that we end up with a host of happy endings at the conclusion of the movie. Of course he would, he knows how volatile the dating game is. However, I am a firm believer that Rom-Coms are meant to give us the endings we never get in real life. So of course the girl who tries way too hard ends up converting the cynical guy, and conveniently the guy who didn’t believe in marriage ends up proposing — reality would just spoil all the fun. So all you folks out there still swimming in the shark-invested waters of dating, don’t look to this movie for advice on your love life. Because there is more to life than putting all your hopes and dreams in a significant other and waiting to walk down the aisle. Know when to cut your losses and move on, concentrate all your efforts into creating your best self. When you know who you are and what you are worth, good things will follow — that is the rule, not the exception. Thank you for reading! What are your thoughts on He’s Just Not That Into You? Comment down below! Next story The ‘Ghostbusters’ Controversy: Are We Really Doing This Again? Jennifer Connelly is another crush of mine 😉 ! You totally have a thing for brunettes hahaha. Have you watched this movie? No, I realized I haven’t seen many Hollywood romcoms. Reality does have a way of spoiling all the fun . . . hence, the need for movies. Liz! It’s great to see you in the comments 🙂 Totally agree, which is why I can be slightly forgiving if the movie doesn’t completely toe the line of realism. My favorite interactions in this movie was Alex giving Gigi advice on men. Alex: don’t go out with guys who don’t treat you well. Gigi: there won’t be anyone left! Poor sweet (but foolish) Gigi! Hahahaha! She sounded so sad when she said that. I am happy she got a good ending, but that would never happen in real life.